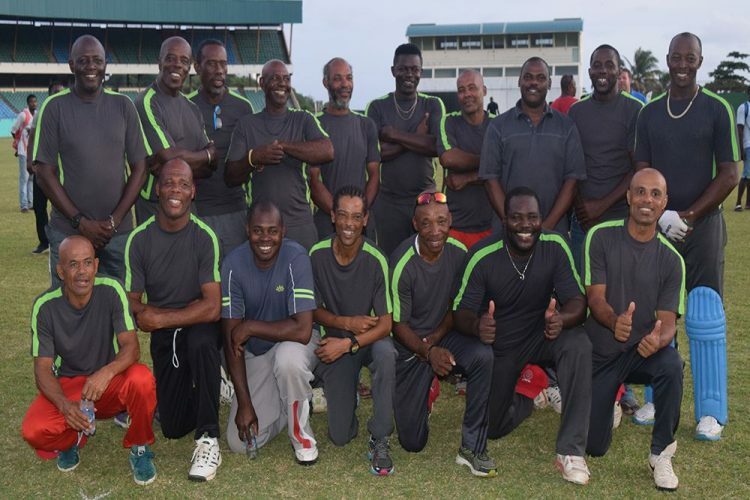 Vincentian outfit Teachers Co-operative Credit Union North East were crowned inaugural winners of the National Lotteries Authority Independence Mastersâ 20/20 Cricket Festival, after a three-wicket win over East Masters of Trinidad and Tobago last Sunday at the Arnos Vale Playing Field. Chasing 134 to win, North East got over the line with seven balls to spare. Deighton Butler slammed three fours and a pair of sixes in his knock of 38 not out, to steer his team home, after a middle order stutter. Elton Williams had earlier stroked 41, inclusive of three fours and two sixes. Bowling for East Masters, Emmerson Williams took 2 for 16 and John Pollard, 2 for 28. Earlier, James Dodds struck six sixes in his 51 not out and Clint Yorke, 26, as East Masters got up to 134 for 5 from their 20 overs. Harvey Pope took 3 for 16. North East had advanced to the finals by defeating Central Trinidad Touring Team Masters by 11 runs in the semi-finals earlier on Sunday morning at Arnos Vale One Playing Field. North East scored 114 for 8 off 20 overs, with Winsbert Springer stroking 30. Central Trinidad was restricted to 103 for 7 off 20 overs. Hollister Pastotte made 55, while Harvey Pope took 3 for 17. East Masters gained their berth to the finals with an eight-wicket victory over Mustique Company Masters in a semi-final encounter at Sion Hill Playing Field earlier on Sunday morning. Mustique Company Masters got up to 115 for 4 off 20 overs, with Roy Baptiste scoring 54 not out and Julian Lampkin, 27, not out. John Pollard scalped a hat-trick, to finish with 3 for 11. East Masters then took only 13.2 overs to reach 116 for 2. Lincoln Roberts led with 52 not out, Halsey Natto, 29 and Clint Yorke, 22. North East pocketed US$3,500; East Masters, $2,000 and the two losing semi-finalists, Mustique Masters and Central Trinidad Touring Team, each received $500. North East are the defending SVG Masters champions, as well as the reigning Carriacou Masters title-holders. The other competing teams were Munroe Road of Trinidad and Tobago, New York Masters, along with other Vincentian teams â RSVG Police, Barrouallie, LOG Vincy Masters and North Leeward. The festival is the brainchild of Minister of Tourism, Sports and Culture Cecil Mc Kie, with support from the National Sports Council.